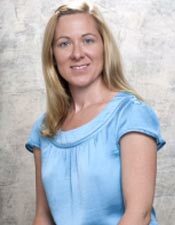 Dr. Jodi Deans graduated from Columbia University School of Dental and Oral Surgery (1999) and completed a three-year specialty program in Orthodontics at Montefiore Medical Center/Albert Einstein College of Medicine (2002). She is a member of the American Dental Association, New York State Dental Association, and the American Association of Orthodontists. Dr. Deans maintains a private practice limited to Orthodontics.